Today I am enthralled by colour, the brighter the better. This is quite possibly the simplest knitting that I have ever attempted, but the irregularity of the stripes is keeping me interested. 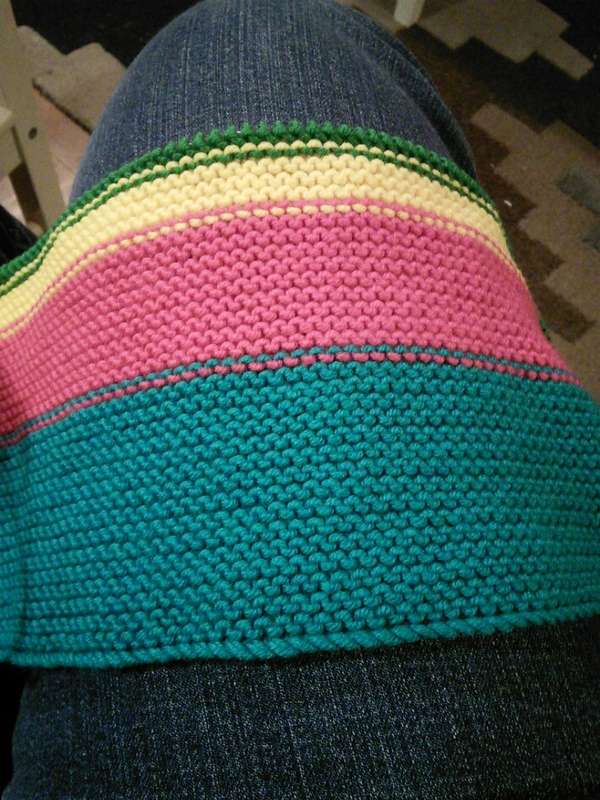 Only of course I’m blogging late at night so the colour looks nothing like that. 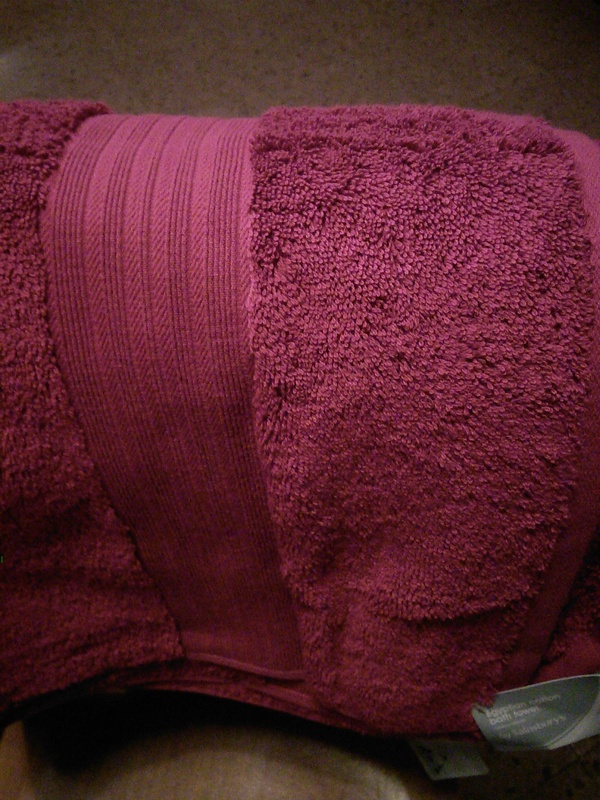 It is a towel of the the deepest, brightest magenta and belongs to my three year old daughter. She told us she was too big for baby towels, (she had a point: they only reached her legs if she curled up into a ball) so Phil let her choose her own towel at the supermarket. She picked this one… and now I have towel envy. It has that fluffy new towel softness going on as well. In other news, the camouflage lace socks are coming along. I now have one whole sock and a cuff. This finishing off of knitted stuff is gripping, (for me at least).